The safety risks of tattoos have been told time and time again to rebellious teens by worries parents and guardians -- but scientists are now saying that some ink may actually be just what the doctor ordered. A new study published in the American Journal of Human Biology last week found that people who had received multiple tattoos had stronger immunological responses, potentially making them more capable of fighting off infections. To arrive at this conclusion, scientists at the University of Alabama obtained saliva samples from 29 volunteers -- nine of whom were getting their first tattoos. They then analyzed the samples for levels of immunoglobulin A, an antibody that lines portions of our gastrointestinal and respiratory systems, and cortisol, a stress hormone known to suppress immune response. 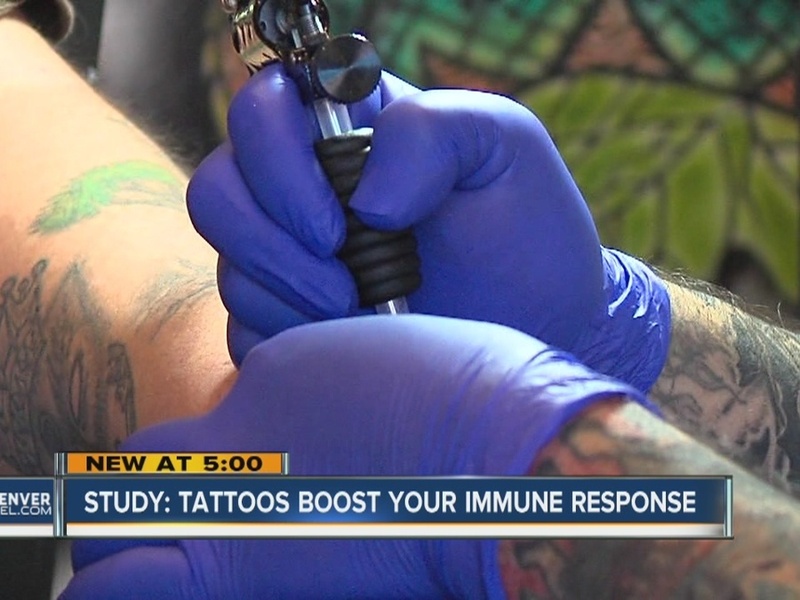 The research showed that people with more tattoos generally had immune systems that were more easily able to retain their levels of immunoglobulin A than those with fewer tattoos. However, you shouldn't run out to the nearest tattoo parlor just yet. It is possible that individuals with healthy immune systems heal faster, making them more likely to get multiple tattoos. If that's the case, then this study has the cause and effect backwards. Also, according Dr. Christopher Lynn, University of Alabama associate professor of anthropology, receiving a single tattoo can lower your resistance to illness -- at least temporarily. The body's response to tattooing is similar to that experienced from exercising in the gym when you're out of shape, Lynn explains. Think of it this way: When you are just starting a new work out regimen, your muscles become sore very easily. But, if you continue working out regularly, the soreness becomes lesser and lesser after subsequent workouts. In a similar way, getting multiple tattoos could your body build a stronger immune system -- it just takes time. So the next time anyone gives you a hard time about that sleeve tattoo you're considering, you know what to tell 'em -- no pain, no gain.